Women have special considerations when it comes to nutrition, no matter what stage of life they are in. 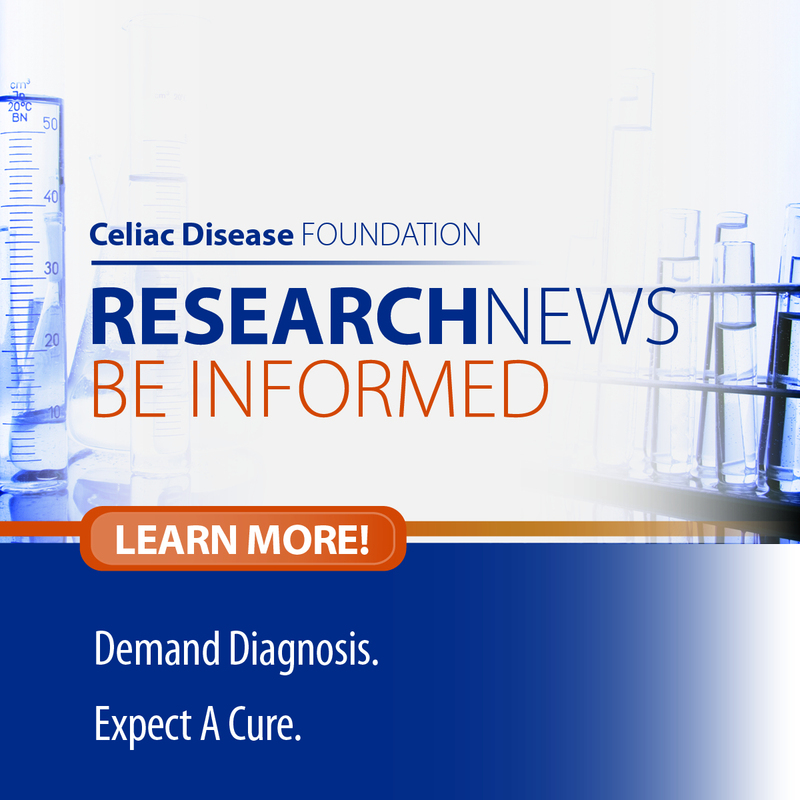 Women with celiac disease need to be particularly mindful of getting adequate nutrients in the diet if they have been malnourished from years of undiagnosed celiac disease. Struggles with conceiving and risk of osteoporosis are of particular concern in women with celiac disease. Conception can be impossible, and carrying a pregnancy to term can be risky when the body is malnourished from undiagnosed celiac disease. An overall healthy body weight is also a factor in pregnancy outcomes. Be sure your physician checks vitamin levels at diagnosis and supplement accordingly, especially when trying to conceive. Folic acid is commonly fortified in (added to) grain products in the United States, specifically for the purpose of preventing neural tube defects in infants, but gluten-free products are often not fortified with this essential nutrient. Be mindful that breakfast cereals, bread, and rice products that are gluten-free may contain LESS of these essential vitamins, so a supplement is highly recommended in those with celiac disease when planning to conceive. 400 micrograms per day is the normal daily need, although your doctor may want you to take up to 4,000 micrograms per day while pregnant (consult with your OBGYN). Iron-deficiency anemia is incredibly common in all women, and is the top symptom observed in most adults with celiac disease. Women with celiac disease therefore very often need ongoing treatment for iron-deficiency (low total stores of iron in the body), even if it’s not yet at the point of anemia (low red blood cell count). Ask your physician to order a complete iron panel to check your iron status, not just a normal CBC (complete blood count). Low percent saturation of iron, high iron binding capacity, and low ferritin stores are all signs of too little iron in the body. I recommend “chelated iron gluconate” as a supplement for resolving iron deficiency. Most over-the-counter iron supplements you find are “ferrous sulfate”, which is not as well absorbed and tough on the GI tract, often causing constipation and abdominal pain. Chelated iron gluconate is a highly-absorbable form that causes much fewer GI symptoms. Absorption of iron is 2-3 times higher from animal food sources than from plant sources. Eat 2-3 servings daily of lean beef, chicken, pork, and turkey to get adequate iron in your diet. Combine plant sources of iron with a source of vitamin C (such as fruit, vegetables or lemon juice) to enhance absorption. Cooking also breaks down the fibers that bind to minerals like iron and make them more available to the body. Beans, dark leafy greens, and fortified cereals are the best sources of iron in vegetarian foods. Many women with long-term undiagnosed celiac disease will suffer from osteopenia (low bone density), osteomalacia (“soft bones”), or early-onset osteoporosis (very low bone density). A bone density scan (DEXA) is often recommended at the time of celiac diagnosis to determine your risk. Receiving medical care for your bone health is essential to preventing fractures and infections related to fractures. Calcium, vitamin D, and magnesium are the main nutrients to watch to ensure good bone health and/or to improve bone density. Menstruating women should get 1,200 mg calcium per day, whereas menopausal and post-menopausal women need more (1,500 mg per day). Most individuals in the U.S. are deficient in vitamin D, and those with celiac disease may be especially at risk for deficiency due to malabsorption of fat-soluble vitamins. Both children and adults need 600 IU per day vitamin D, but your doctor may recommend much more if you are deficient. Magnesium is an essential mineral stored in bones, and is also involved in converting vitamin D to its active form in the body. Choose a calcium supplement with magnesium in it, and if you’re supplementing with vitamin D you may also need a magnesium supplement to utilize it. 320 mg per day is the daily recommended intake for women, and up to 400 mg per day for pregnant and lactating women. Weight-bearing activity is essential for signaling the body to lay down new bone tissue and improve bone density. Walking, jogging, dancing, hiking, jumping rope, and other activities that are done standing on your feet are examples of weight-bearing activity. Heat oil in a large pot over medium heat. Add onions, carrot, garlic, chili powder, and cumin. Cook, stirring often, until onions and carrot are soft (5-7 minutes). Add tomatoes with their juices, sugar and salt. Cook for 5 minutes over high heat. Reduce heat to low; stir in beans and quinoa. Simmer until chili is thickened, about 15 minutes.